EXCLUSIVE: The ultimate Pittsburgh Pirates Fan's dream come true! 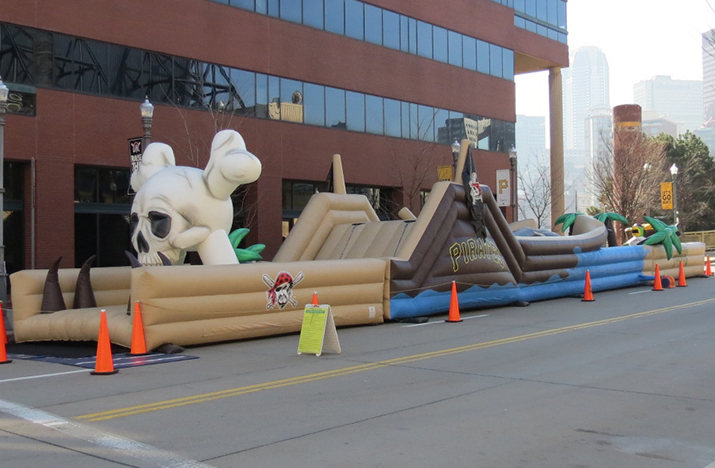 Climb aboard this monster Pirate Ship Obstacle Course! Book TODAY! Ask about a visit from the Pirate Parrot!